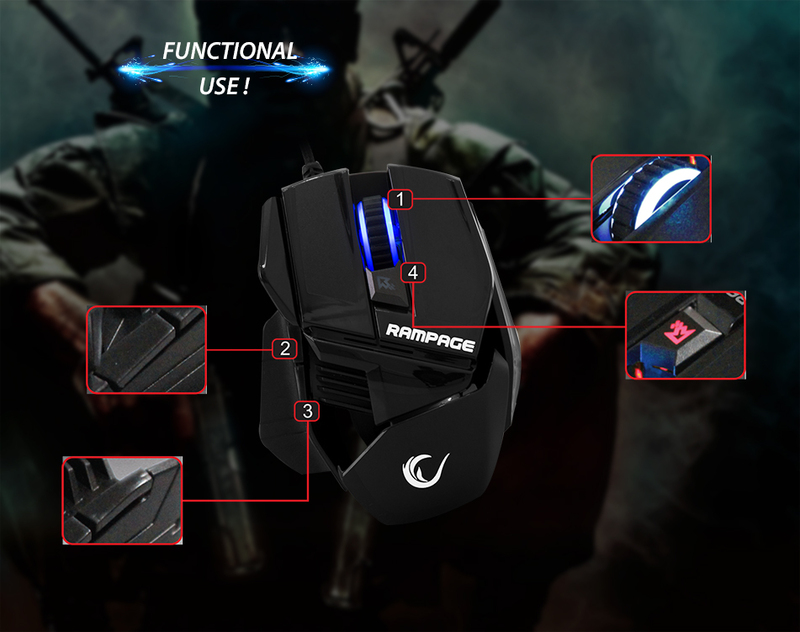 Everest Rampage SMX-77 Usb Black 2000dpi Gaming Mouse; SMX-77 is a powerful 2000 DPI laser sensor is used. Its special design provides easy to use and an excellent handling. 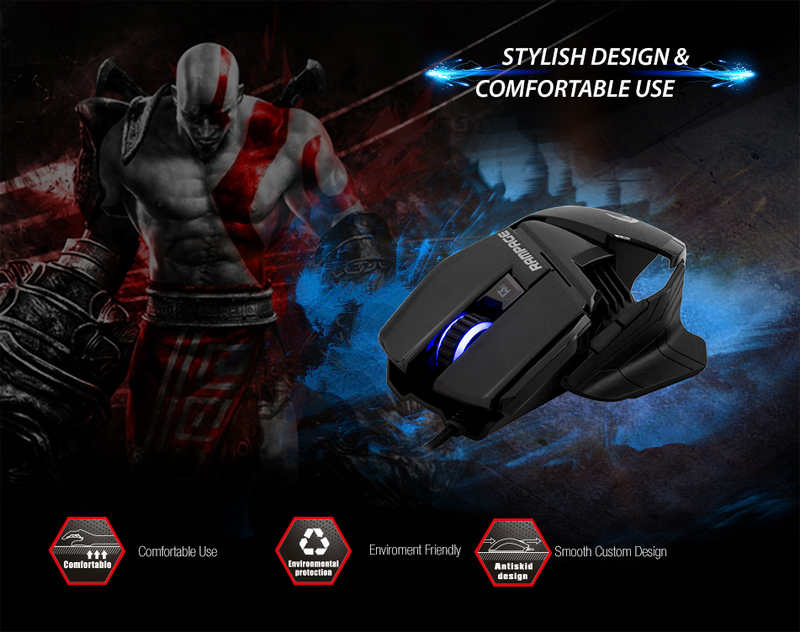 The special design of the SMX-77 makes it different from another gaming mouse. 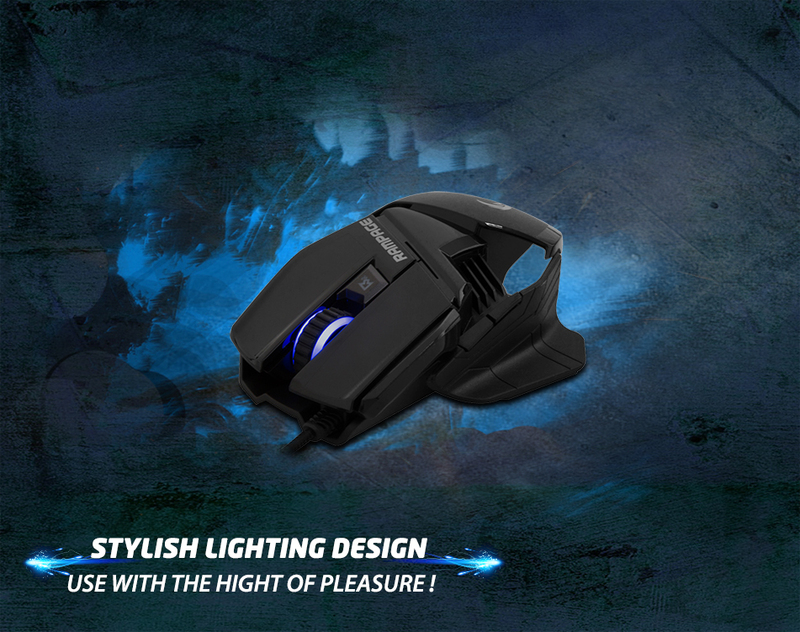 Everest Rampage SMX-77 Usb Black 2000dpi Gaming Mouse; Soft touch of structure makes the SMX-77 comfortable and durable by the use of quality materials and its unique design is the reason to enjoy playing games. You can perform your work easily with 4 function keys. Everest Rampage SMX-77 Usb Black 2000dpi Gaming Mouse; SMX-77 has Scroll key and forward and back function keys allow you to easy to use. With these, the keys will perform the operations more quickly and easily. Everest SMX-77 with comfortable soft-touch structure, It has been designed in a manner of resistant and sensitive. 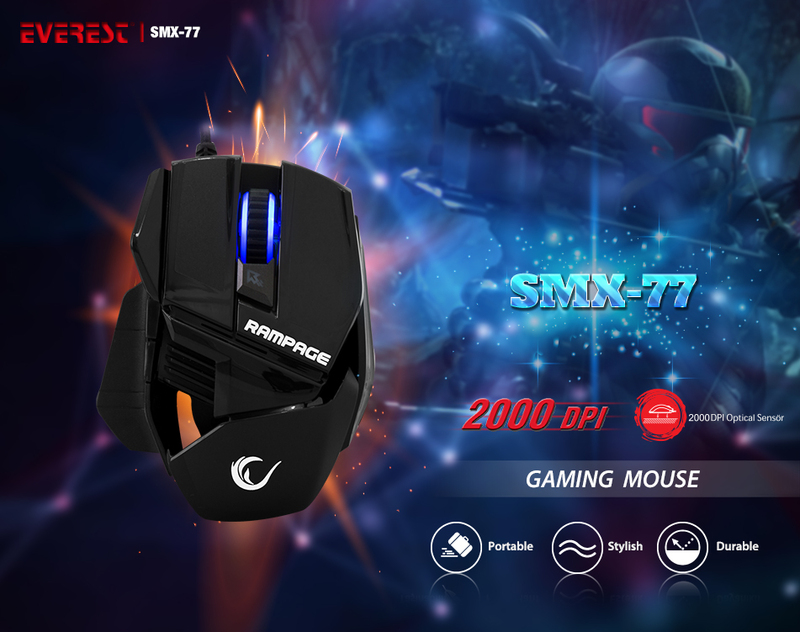 Everest Rampage SMX-77 Usb Black 2000dpi Gaming Mouse; The SMX-77 designed perfectly to fit into your hand and offers seamless user enjoyment. It has an impressive LED lighting design and Visual design. 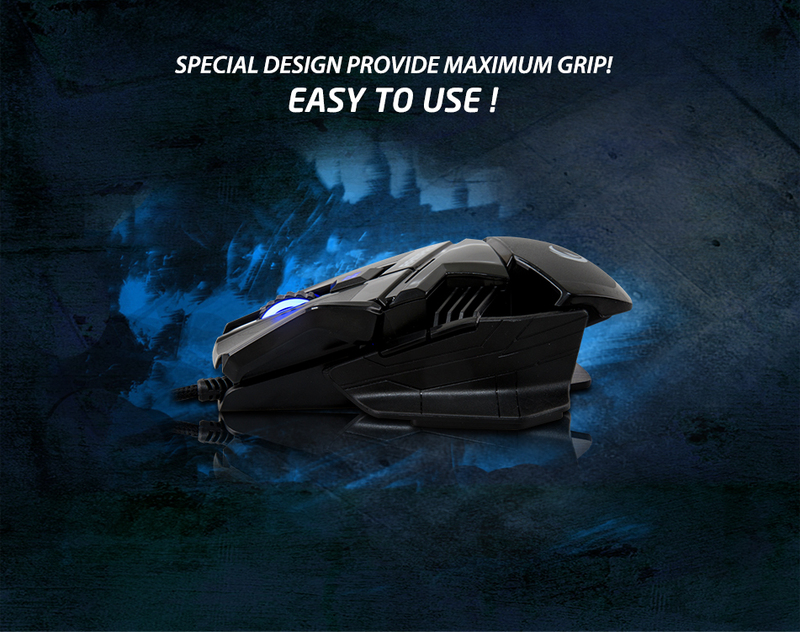 Everest Rampage SMX-77 Usb Black 2000dpi Gaming Mouse; Its provides maximum grip through to its special design curves on the side surface. Mouse prevents your hand during playing games. 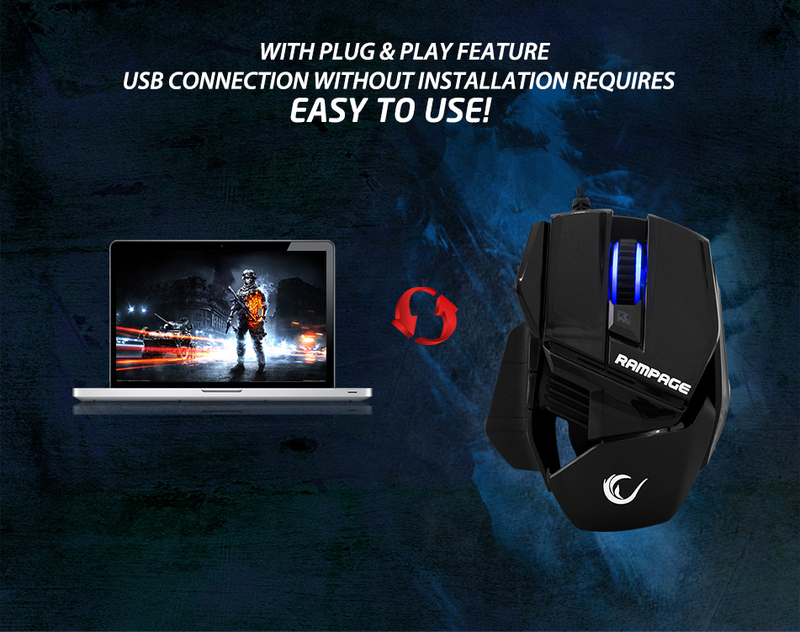 Everest Rampage SMX-77 Usb Black 2000dpi Gaming Mouse;? Use easily with its Plug and Play feature without requiring any installation and wasting time.